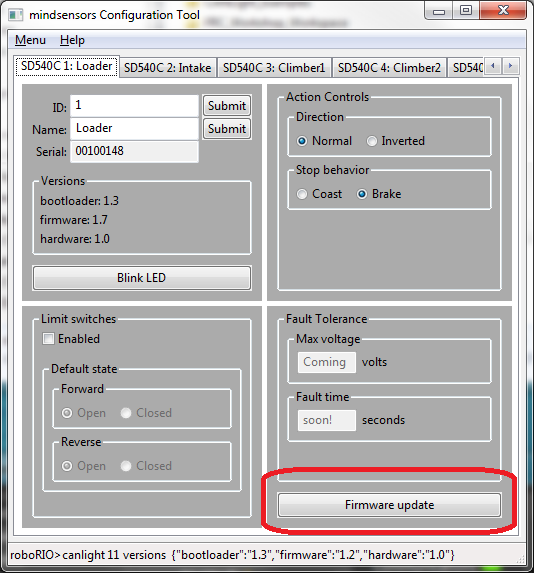 Update the Library software for Java/C++ and firmware of your SD540C. unzip it, and copy the user folder here to the corresponding folder you found earlier. Your user folder should contain a cpp and java folder. (replace old files with new ones). Use the 'Firmware update' option from the config tool. Run the Firmware update for all your SD540C's.